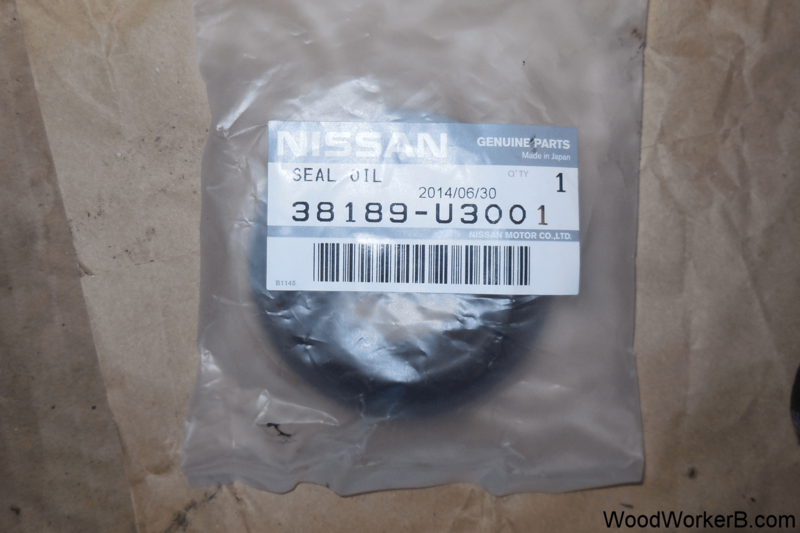 Replacing the 3 oil seals on the Datsun 240Z R180 differential is a fairly basic, do-it-yourself project. Since it was out, I had my differential inspected by a local drive-train shop (Unitrax Drivetrain Inc, no charge for a bench inspection if the differential is removed from the car) and the report was the differential is in very good shape. No repair or adjustment needed. First, the R180 differential is heavy, and there is no good place to hold onto it, so be very prepared for some physical work. Jack the car and secure on jack stands. Remove the propeller shaft (drive shaft). 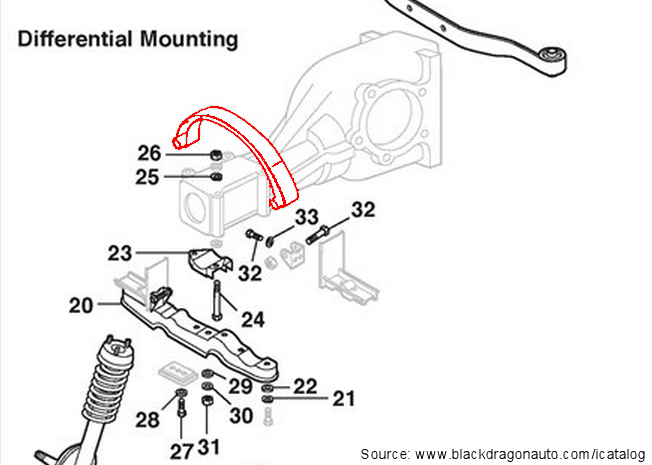 There are 4 bolts at the differential-end that hold the drive shaft in place. 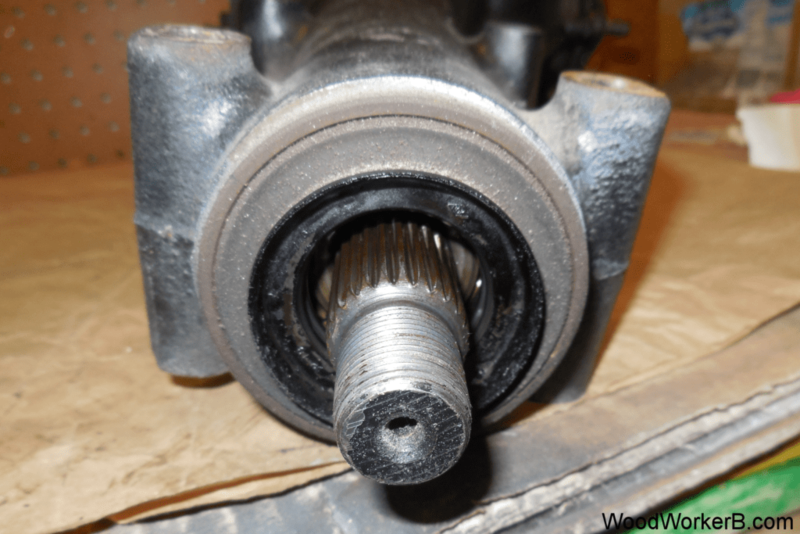 Remove these and the drive shaft should drop loose from the differential. Some ‘persuasion’ may be necessary. The drive shaft should slide easily out from the rear of the transmission. Important Note: With the drive shaft removed from the transmission, there is now a large hole where transmission oil can pour out if you jack the car such that the nose is higher than the tail. (it makes a huge mess). I suggest putting a latex glove over the back of the transmission and secure it with some rubber bands. Better safe than your own personal Prince William Sound on your garage floor. 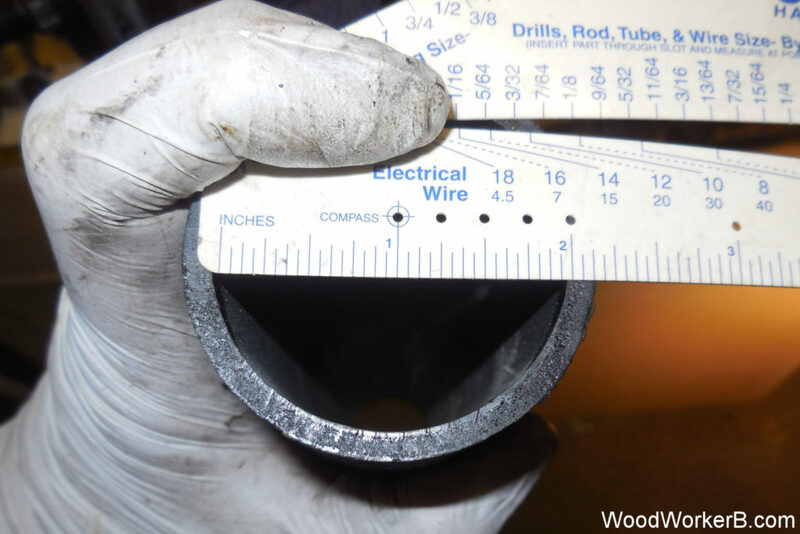 Now is the time to inspect the U-joints on the drive shaft. Replace the if necessary. If the exhaust will be in the way, save yourself some grief and, if you can, remove enough of the pipe to allow unobstructed access to the differential. This may not be practical if your exhaust system one-piece. Remove the half-shafts. Depending on how long it’s been, this can be some work. Not particularly difficult, but a lot of physical work. 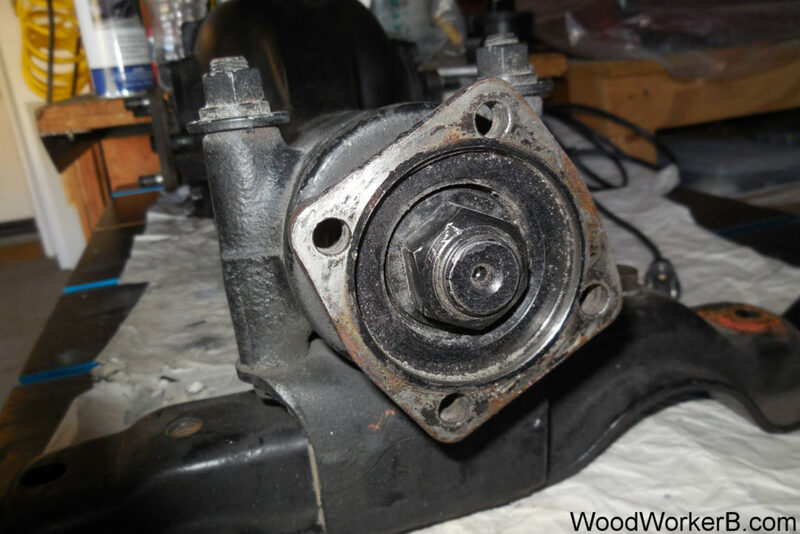 See my post on 240Z Half Shaft Refurbish. 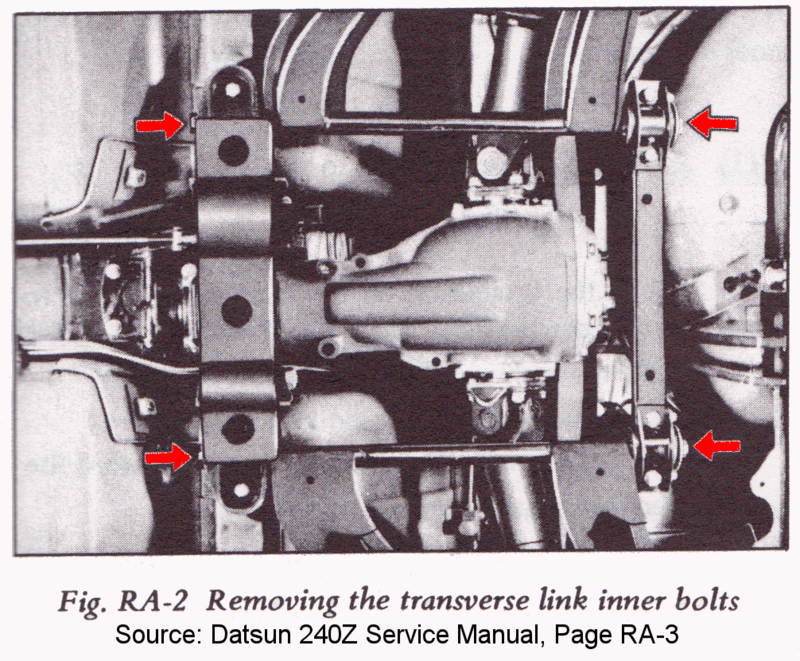 Loosen the Transverse Link Inner Bolts (Figure RA-2 red arrows). No need to remove them. Support the differential. If you have access to a transmission jack, this is perfect. You can use a floor jack, but be aware that the differential will easily shift around and possibly fall off the jack. You can also use the ‘stack of boards’ approach. 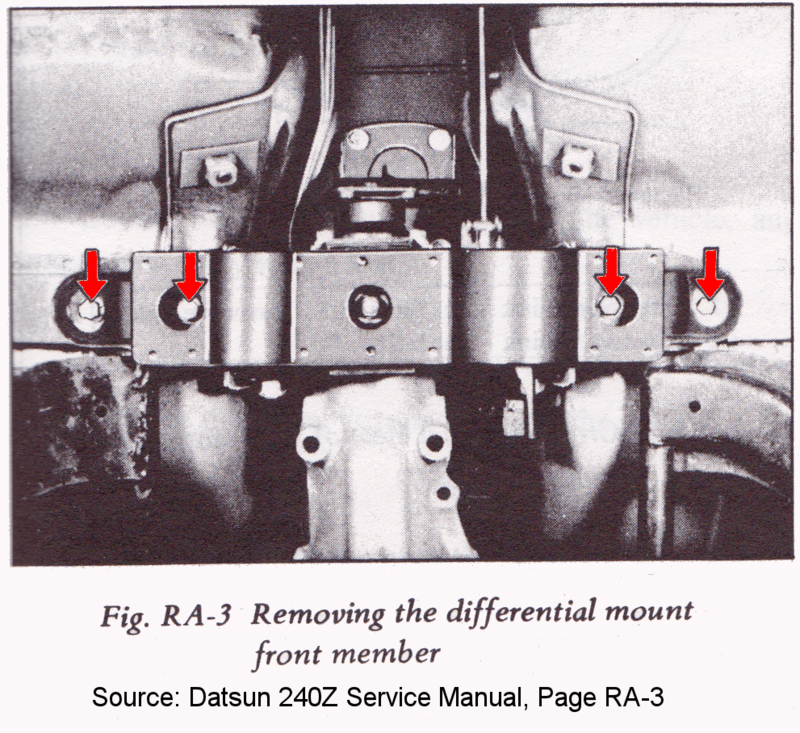 Scoot the differential toward the front of the car until the two studs clear the mustache bar. 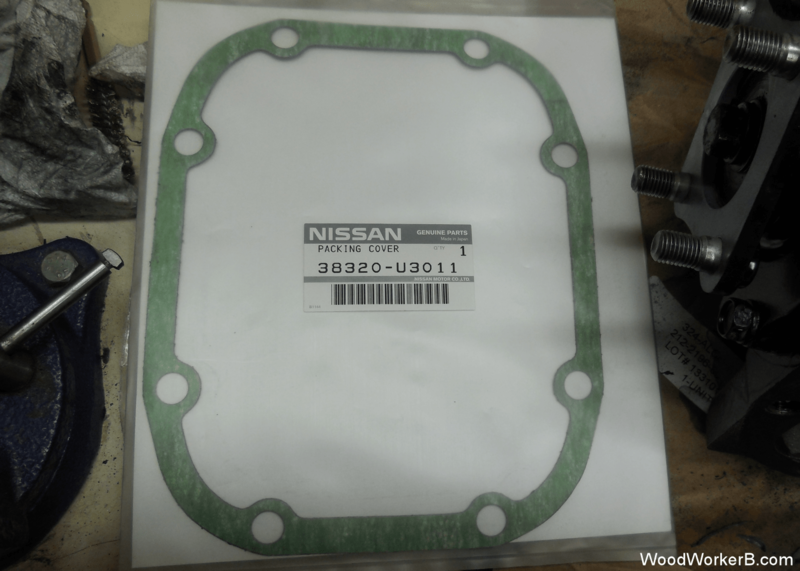 Side Oil Seals. 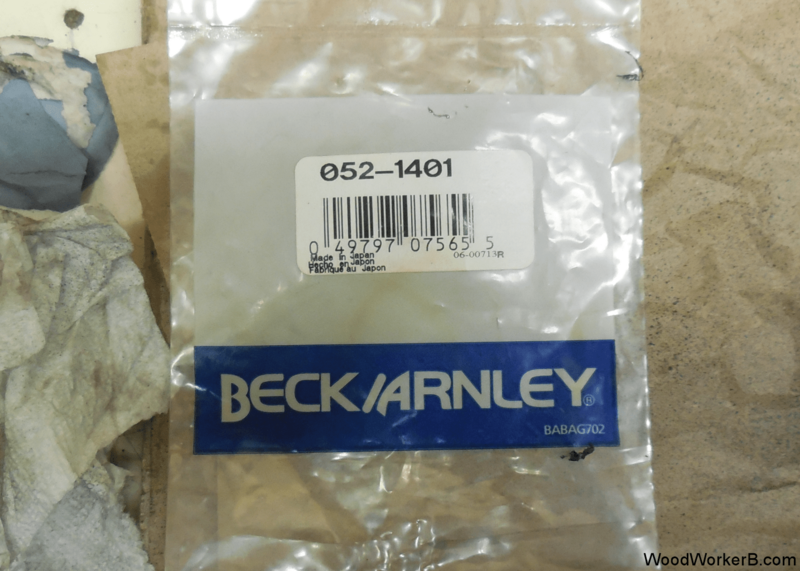 Beck/Arnley 052-1401. The rubber should be in good shape with no deterioration, tears or separating from the metal. If there are any issues, just replace it. Cheap insurance. 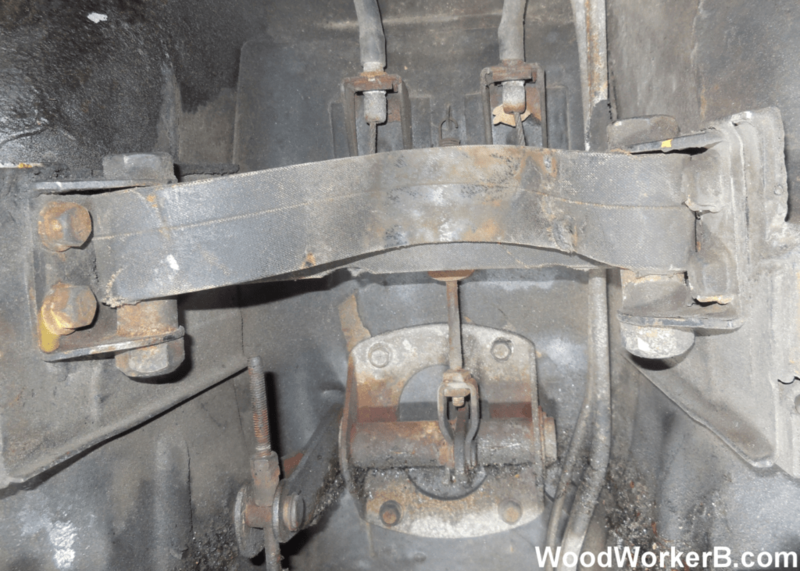 A leather strap goes over the ‘nose’ of the differential to prevent it from pulling upwards and putting too much stress on the differential mount. Inspect the strap to ensure it is still capable of doing it’s job. I do not know if the differential strap is still sold anywhere. I am going with a more robust solution from TechnoVersions LLC (below). Here are photos of my installation on the TechnoVersions website. 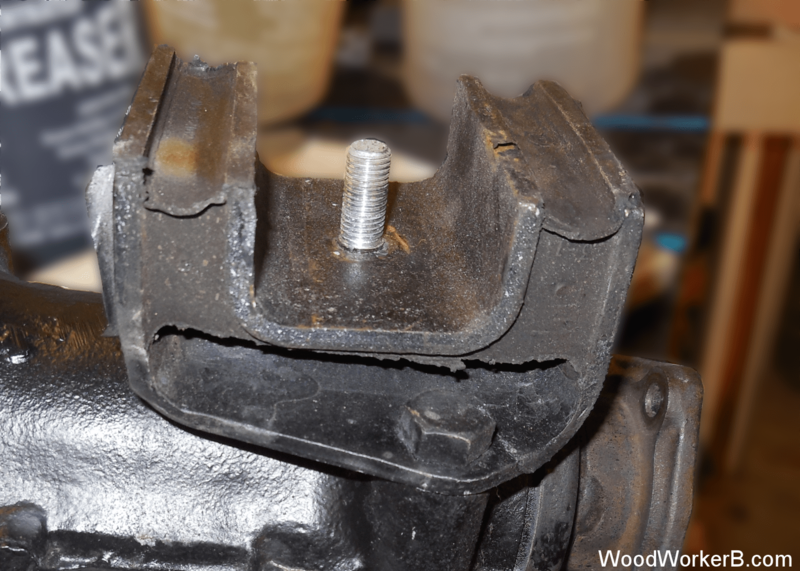 Clamp the front flange in a vise and remove the nut and washer. An air hammer works great, otherwise a breaker bar. It is a 27mm socket is required. Remove the flange. Remove the front oil seal. 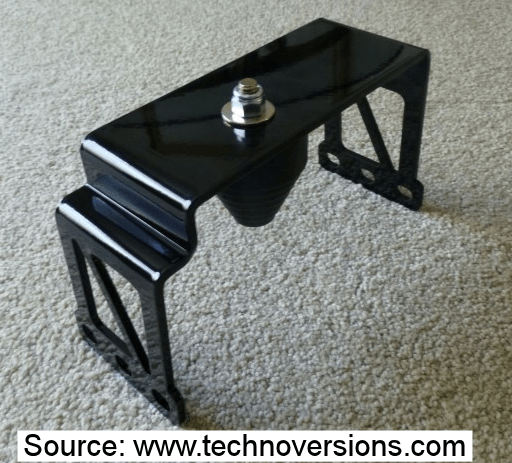 Use extreme care so as to not damage any part of the mounting surface. Remove the side flange bolts (#24 in figure PD-4). These flange bolts have a lock washer, a flat washer and a small, triangular o-ring (see photo in the gallery below). Remove the sub axle. To prevent confusion, I ran a tie wrap through one of the stub axles and a second through one of the mounting holes on the same side as that stub axle. Not sure if it matters if these get reversed, but why take the risk? 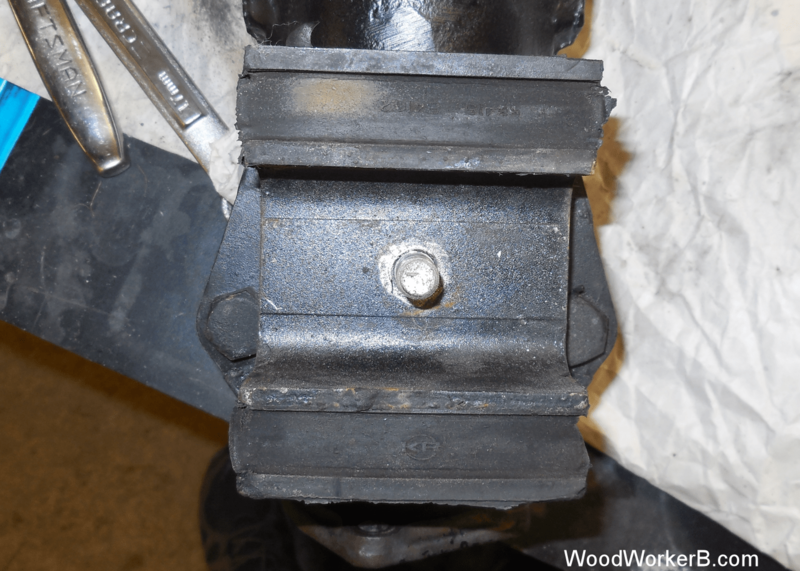 Side flange and flange bolt. Flange bolt showing washers (1 & 2) and triangular-shaped o-ring (3). Stub axle removed. 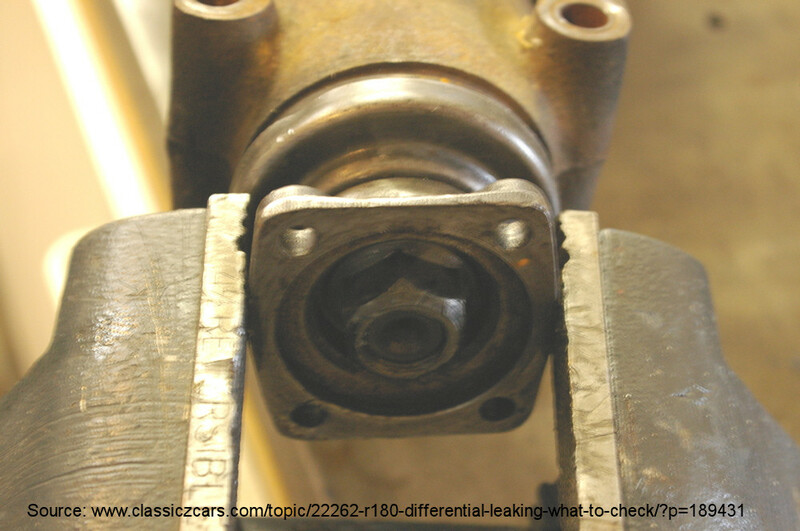 Side oil seal is visible. SIde oil seal removed. Inspect surface for debris or damage. New Beck/Arnley side oil seal installed. 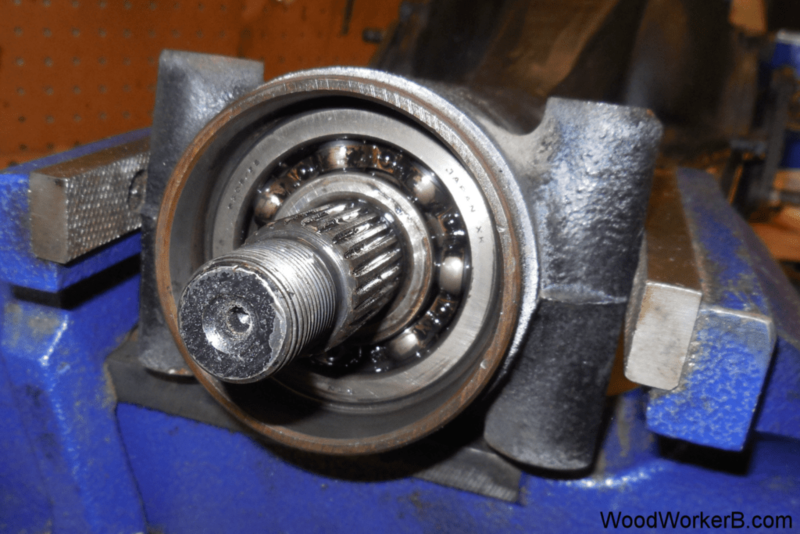 It is a good idea to chase the threads on the stub axles to ensure all rust, grime and paint are removed. This will make reassembly much more pleasant. It is worth it to chase the bolt holes for the rear cover too. No telling what has gotten into these over time. Again, assembly is much more enjoyable. Putting it all back together is pretty much the reverse of taking it out/apart. Also, remember to put gear oil back in the diff. Easy to forget in the excitement to get it all together again.